Official data from China shows coal use continuing to fall precipitously – bringing carbon dioxide emissions down with it. The data – which comes months before crucial climate talks in Paris – means China has cut emissions during the first four months of the year by roughly the same amount as the total carbon emissions of the United Kingdom over the same period. An analysis of the data by Greenpeace/Unearthed China suggests coal consumption in the world’s largest economy fell by almost 8% and CO2 emissions by around 5% in the first four months of the year, compared with the same period in 2014. It comes after the latest data – for April – showed coal output down 7.4% year on year amidst reports of fundamental reform for the sector. 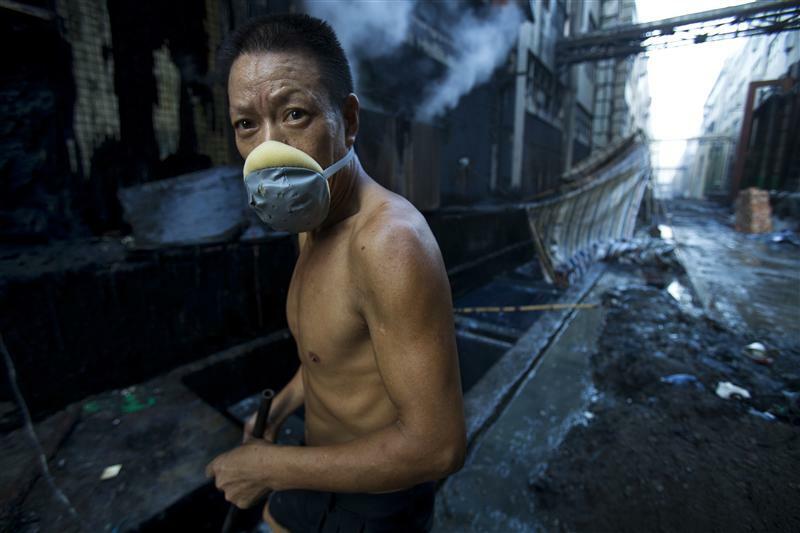 China also recently ordered more than 1,000 coal mines to close. The reduction in emissions from 2014 to 2015 is roughly equal to the total CO2 emissions of the UK over four months, and the reduction in coal use is equal to four times UK total consumption. If the reduction continues until the end of the year, it will be the largest recorded year-on-year reduction in coal use and CO2 in any country. Falling coal output in China has already had a big impact on global emissions with early data from the IEA suggesting that global emissions of carbon dioxide from the energy sector stalled in 2014, marking the first time in 40 years in which there was a halt or reduction in emissions of the greenhouse gas that was not tied to an economic downturn. The calculation is based on a variety of sources including China’s industrial output data for April which showed a 6.1% reduction in coal output in the first four months of 2015. This was combined with a 38% reduction in coal imports reported earlier by China Customs and changes to coal stock levels to give us a first look of how China’s coal consumption and CO2 emissions are developing after the reduction last year. This calculation is based on the fact that every tonne of coal produced or imported must be consumed, stockpiled or exported. Production data is from National Bureau of Statistics and imports data from China Customs. Stockpiles refer to coal stockpiled at key mines, power plants and ports. Data for the first two is compiled from National Energy Administration and China Electricity council statistical releases, and data for ports is from the sxcoal.com platform (paywall). Oil and gas consumption growth are Platts estimates for the first quarter. The reduction is all the more impressive given that 2014 already saw a fall in emissions. China’s economy has grown at a slower pace with lower-carbon sectors growing far faster than big energy users such as steel whilst demand has increasingly been met by new forms of power generation – including wind & solar – rather than coal. Further analysis on China’s “new normal”, breaking down the causes of the collapse in coal use and the possible implications will be published later this week.